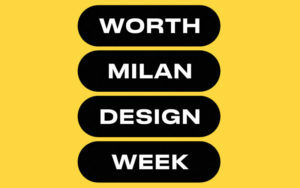 The WORTH Partnership Project will be participating in the Milan Design week during the event SuperDesign Show 2019. During the most important Milanese events worldwide regarding design, which last year registered more than 450,000 visitors. From the 60s to current day Milan Design Week has managed to brings design magic to a whole city for one week in April of every year. Whether it’s on Salone del Mobile, Fuorisalone, or on either of the design district of Milan (Brera Design District, Ventura Centrale Design District, Tortona Design District and 5 Vie Art Design District) wherever you go during this period, you can feel and breathe “innovation” and “design” all around Milan. If you choose a Milan break then this is the best time to go!